The Twist Side Table by Rugiano combines the geometric shapes of the Art Deco era with a modern aesthetic. Hand-crafted using only the finest materials, the sculptural base can be realised in solid bronze or steel. 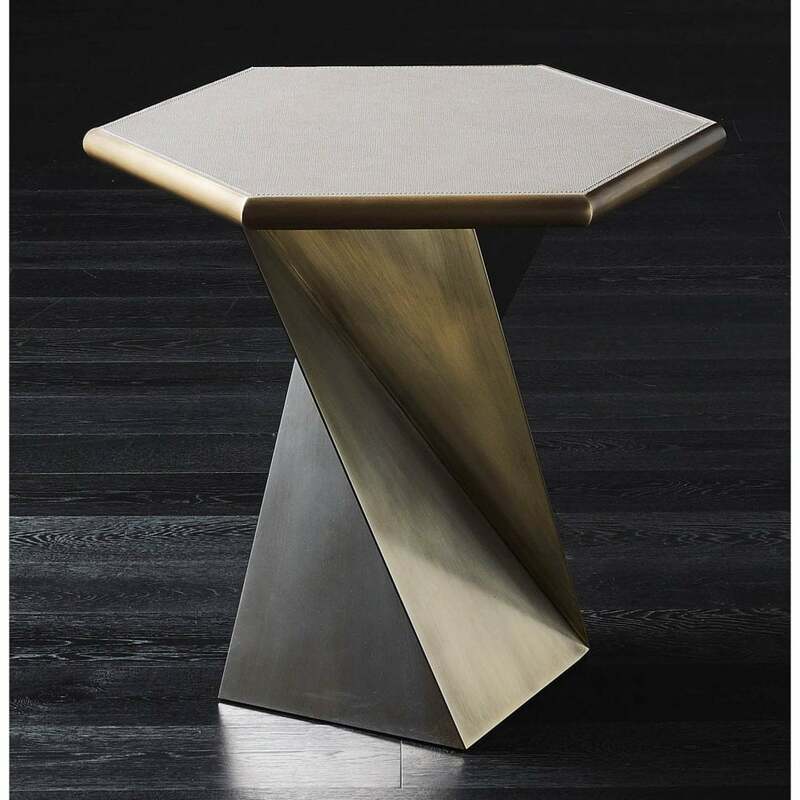 Adorned with a hexagonal table top, the angular piece is available in a range of beautiful finishes including Pelle leather, marble and wood. This statement side table complements Rugiano’s sophisticated colour palette of chocolate brown, charcoal grey and mink. Pair with the Madrid Table Lamp from the lighting collection for a chic look that exudes Italian glamour.